You can control your mind, when its common sense calmly manages your life. The inherited wisdom of your mind is only restrained by the remnants of an animal heritage of destructive emotions. Focusing the attention of your common sense is the key to taking control of your mind. Have a plan for your life. Life is not easy. A range of interpersonal, career and health problems are a fact of life. When setbacks occur, stomach churning emotions give you sleepless nights and affect your health. Such emotions are only suitable for a life in the jungle. Only the focused attention of common sense fits today's more civilized world. Write down your major concerns in life. Prepare a plan to change what you can and to accept the things you cannot change. Continue the planning process every time you feel disturbed by an untoward event. While having a plan immediately stills unreasonable fear and anger, problems will reappear in new forms. A few minutes of concentrated attention spent on a plan of action, or acceptance will save you from the modern problems of diabetes, blood pressure and heart attacks. Learn to instantly relax your body and still the initiation of anger, or fear signals. Every day, stressful events as well as poor postures will tighten many of the 60,000 muscles in your body. Tensed muscles often remain tightened and do not automatically relax. Tightness triggers irritability, which tenses more muscles in a vicious cycle. Focus your common sense on the state of your body to instantly relax your muscles, stifling anger, or despair. Pump your stomach at signs of mild stress. Regardless of a planned approach to life and a relaxed body, traffic snarls and rude colleagues will always be present. Become aware of your stress responses. Expel air by tightening stomach muscles close to the pelvic area. Stomach pumping quiets visceral reactions, spreads adrenaline in the system and subdues tension. The process is aerobic, decreases stress hormones, relieves constricted blood vessels and supports immune activity. A delayed flight will not spoil your day. Your common sense will remain in control. Learn breathing exercises. Conscious breathing has a stilling effect on emotions. Focus the attention of your common sense on your thoughts, whenever you have free time. People have many habitual streams of thought. With practice, self awareness will make such thoughts as familiar as friends. 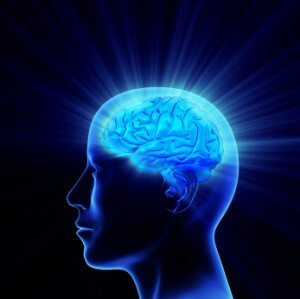 With the attention of your common sense, the more negative thoughts will suddenly appear to be childish or irrelevant. The generated emotions will not be able to transport you into anger, fear or despair. This process is also called mindfulness meditation. Allow positive feelings to invade your mind. You cannot enjoy the beauty of a flower when you feel awful, but a plan for life, a relaxed body and continuing self awareness will steal the negative emotions in your mind. A mind that is free will naturally appreciate the beauty of life. When you feel good, it is easy to feel friendly and affectionate towards people. People respond back to your good feelings. When you feel good, your common sense will control your life. Most important thing is that, you keep faith in yourself that you will be able to tackle any problem. While a couple of the steps in the video are worded slightly differently, the ultimate goal is the same. Emotions have a way of capturing your mind and convincing you of their irrational logic. When work does not thrill you, the boredom emotion will make you feel tired, restless and unable to concentrate. Remember that by focusing your common sense on the emotion, you can kill it and get smoothly back to work. Emotions put mind blocks in the way of your good intentions. You plan to work out every day, but feel too bored, or tired to begin. Focus your common sense on the emotion. Pay attention to the physical symptoms of that feeling. Your attention will kill the feeling. Your will power will have taken charge. Your common sense is normally not in control of your mind. The most powerful emotion in the system takes charge and you will reflect the convictions of that emotion. You will be so enveloped by that frame of mind that you will feel there is no other way of looking at a problem. It takes a lot of practice for your common sense to view that emotion from the outside. Don't attempt to control your mind by saying “I must do it!” if your emotions oppose it. You cannot do your workout, when you just don't feel like doing it. Arguments only reinforce negative emotions. Such commands will only cause you to feel incompetent. The secret of control is to allow your common sense to take over by stilling your emotions. That happens when your common sense evaluates the question “What do I feel?” Recognition of that feeling will still the emotion. Article provided by wikiHow, a wiki how-to manual. Please edit this article and find author credits at the original wikiHow article on How to Control Your Mind. All content on wikiHow can be shared under a Creative Commons license.